I wanted to go off on a beauty tangent about all my favourite and well loved brands. Instead of continuous individual reviews I thought I'd dedicate a whole post for my love of a brand. I have a few planned but to start I am going to talk about Liz Earle, the reason being is I feel that Liz Earle although loved gets slightly dismissed by the beauty hierarchy. Loved by make up artists and beauty addicts alike it's not as glamorous or luxurious as some of the other products out there but I genuinely believe some of their products are far better than items I have tried from more premium lines. I am fortunate enough to pick and choose what I want to try from the shelves of Space NK or the aisles of the John Lewis beauty hall and I hands down choose some skincare items from Liz's line over items triple or quadruple the price as I believe they are just as good. There really is so much to say about this cleanser. Its THE original cream cleanser and muslin cloth system, there is also the Eve Lom which is also a cult in its own right but that's a balm and does not go well with my beautiful smelling ethos when it comes to skincare. I first used cleanse and polish around 10 years ago, this is often a 'first time' cleanser for teens as it's so gentle. I think this is the problem a lot of people see this as basic - it's a cleanser, what we really expect it to do? This deeply cleanses, balances, smells like heaven and is suitable for all skin types I honestly recommend this to anyone and everyone, yes it is a great starting point but it's a great cleanser full stop. I do like to try other things I am currently using alongside this the Emma Hardie cleansing balm I also love but C&P will always have a place in my heart and on my bathroom shelf. I wish I could swipe my face with this all day long, it smells BEAUTIFUL. It's worth it purely for the scent. This is an aloe based tonic - no alcohol nothing stripping it adds a layer of moisture and oh the smell...just try it. The only moisturising toner you will ever need. Prepare for an essay. I was going to do a whole post just on this because I adore it so much. I purchased this last year on a whim as I never had dry skin but the harsh winter had really dried it out, I am 25, now I no thats not "old" but I am noticing a few differences in my skin - I am not a teen anymore *sob*. This is a rich cream that instantly sinks in - great that's what you want but this product turned my overall dry skin around in an instant. I stopped using it for a few weeks and needed to turn to oils (as I previously mentioned with the Pai Rosehip) but I am strictly back on it day & night, a re purchase is a coming! Very similar to cleanse and polish with round jojoba beads this gently buffs of dead skin, I don't enjoy a scratchy harsh exfoliator and have recently been trying out some chemical ones but every now and again I want a manual scrub that does not leave me the same colour as Percey Pig. I keep this in the shower as my face wash for when I wash my hair so use around 3 times a week. It simple yet effective and leave my complexion bright not sand blasted. There my are favourite picks from the Liz Earle line, they come and go but have all been re purchased except the mositeriser which is about to be. 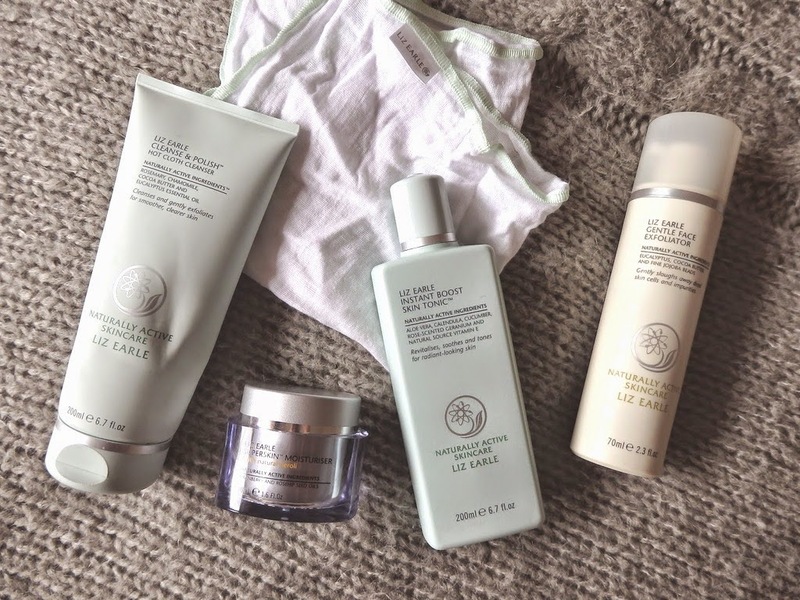 If you are considering a Liz Earle purchase I hope you are now feeling extremely enabled. Liz Earle products are available from www.lizearle.com, John Lewis & larger Boots stores.